Spacers are used to create space between 2 objects in an assembly. In the world of Electronic Hardware and Electronic Components, spacers are most often found spacing circuit boards, motherboards, panels and doors. Lyn-Tron Spacers are unthreaded and come in Steel, Stainless Steel, Aluminum, Brass and Nylon. All Lyn-Tron Electronic Hardware is made in the USA and held to the highest quality standards. The round shape provide a nice finished look. 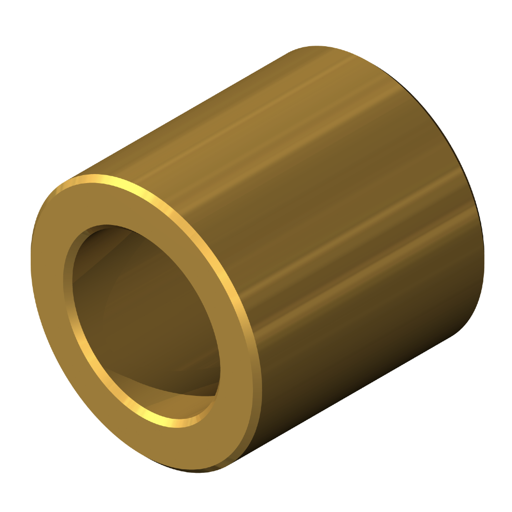 Brass is corrosion resistant, nonmagnetic, and easily machinable. Base metal is yellow, but many plating options are available when different colors are required.